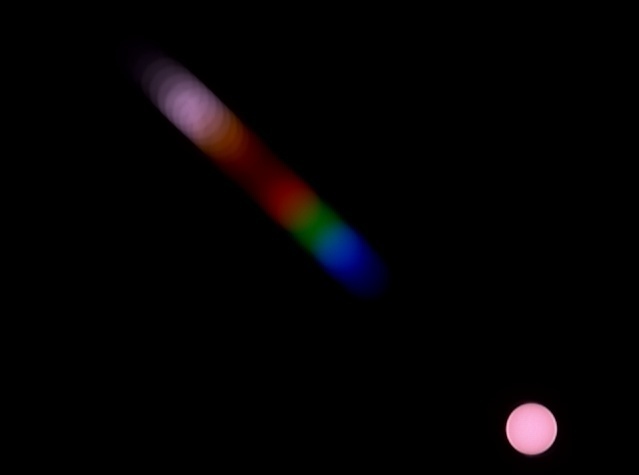 This spectrum was recorded using the Star Analyser 100 l/mm grating mounted in front of a 29mm SLR lens. Baader Solar Film (ND5) was used as a filter. The camera was a Toucam Pro webcam. The tree branches acted as a crude slit aperture. An explanation is sought for this phenomenon. 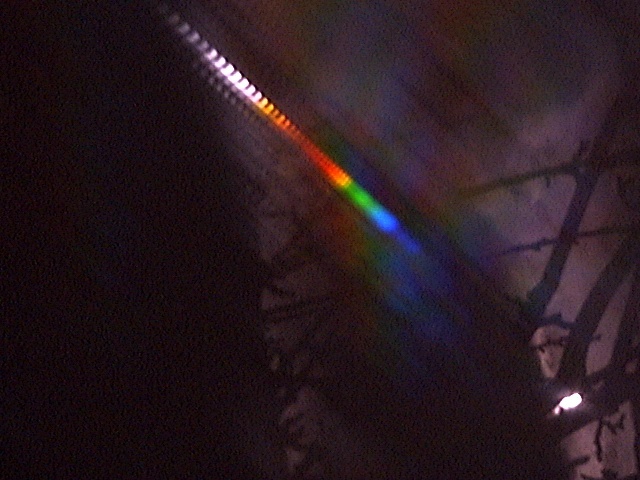 The phenomenon is still present without the slit effect of the tree branches, particularly in the IR region though not as pronounced, presumably due to the larger size of the source. The effect is still visible if a tungsten filament lamp is used as a slit source. The regular fringes are apparent in the near IR and it is believed would continue into the visible, limited here by the spacing of the fringes becoming smaller than the slit width.